Buying a property that has the potential for improvement offers the chance to increase the value of your home. And if you are able to live in the property while the work is done, so much the better. Such property can come in a number of different guises. It may be a property with a barn that's ripe for turning into extra living space. Or it could be an unfinished renovation project, or simply a place that's seen better days and needs a lick of paint and some TLC. It might be a house with good sized grounds that's just crying out for a swimming pool to be added. A "move in and add value" property is so much easier than a total renovation project. It's not as daunting, for one thing. And you don't need to do the work or spend the money on the improvements until you have the time and the spare cash to get on with it. What's more, you won't have to rent alternative accommodation or buy a caravan to live in while you wait for the work to be finished. So you save money on that too. Another advantage of buying a property with potential that you can live in, is that it allows you to put your own stamp on the property. A fully finished home can seem appealing, but it has been finished to someone else's specification, and often there are things you want to change anyway. That ultra-modern, lime green, high gloss kitchen might be very smart, but if your taste runs to farmhouse pine instead you'll have an expensive time ahead getting things the way you want them. And you probably paid over the odds for the house in the first place precisely because it had that lime green kitchen! With a "move in and add value" property you have the chance to create your dream home rather than live with someone else's taste. If you've bought a property reasonably cheaply, which you will have done if there's work to be done, you stand to increase your investment by carrying out extra renovation work and improvements yourself. Estate agents can't add much to the price of a property for unrealised potential, and there are some excellent bargains out there at the moment. The recent economic crisis has resulted in a number of previously optimistic renovators having to sell up before finishing their renovations. That's sad, as it's the end of a dream for them. But someone else's misfortune can be your stroke of luck. 2018 could be the year to grab a part finished property at a rock bottom price before the market moves strongly upwards. It's showing signs of getting moving now, so don't hang around. 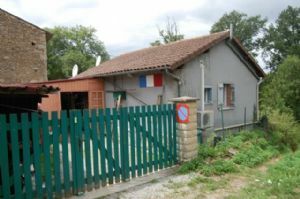 Properties in France can be so different it's not always easy to spot a property's potential at first glance. A part finished renovation is one thing, and these aren't hard to identify. But a property with potential may also be one which has a derelict cowshed at the bottom of the garden (ripe for turning into a gite or granny flat), or a terraced village house with an empty, semi derelict house next door that you could buy and extend into your home. It's important to check out what will or won't be allowed in terms of planning permission, of course. A bargain isn't such a bargain if you buy only to discover that you won't be allowed to make your proposed improvements. Another benefit of buying a property and adding value is that if it is your primary residence then often you'll avoid capital gains tax on any gains you make (Capital Gains Tax in France). You may have to prove that you were resident in France and that the property was your primary/only residence but it may save you thousands in the long run. French Property Links (FPL) has taken the legwork out of finding the perfect "move in and add value" property. 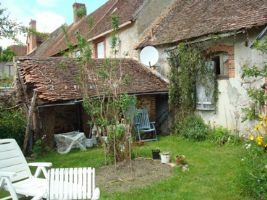 Under the French Property tab on the website there's a new section that gathers together habitable properties with potential. So, finding the right one is easy. And the property details often state if planning permission is or is likely to be granted for certain works. Now, that's useful! Situated 10 mins from the town of Chateauponsac is this small bungalow style property. The property comprises of open plan American kitchen lounge, shower room, dining room, summer kitchen, and an attic above. Outside is a workshop, cellar, and a garden of 604mÂ² with a well. This old farm house currently has 2 rooms – a kitchen-dining room and a bedroom. However attached is a large barn which has great potential to turn the main building into one large house with views of the countryside. 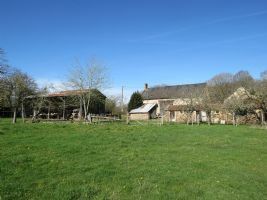 With several outbuildings, a large shed and 2 fields (totalling 19,018m2), this property a lot of potential for anyone who has animals or other hobbies requiring land or buildings. 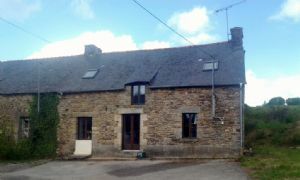 A super property with potential to make 2 houses! 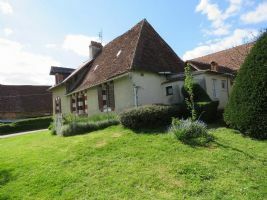 This country house is in the town of LUSSAC LES EGLISES which has a small supermarket, bar, restaurant, bakery and newsagents. 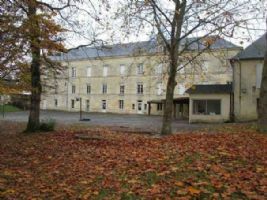 It is a 50 minutes drive from Limoges International Airport. 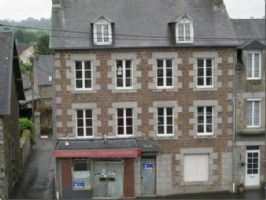 This is a very substantial renovation project for several properties in rural Normandy. 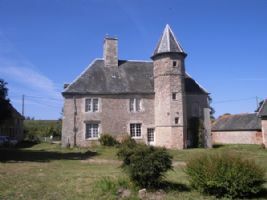 The centre piece is a 17th Century manor house with feature tower. In addition to this there are 5 other outbuildings set in own grounds. 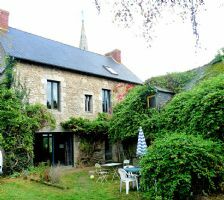 This could make an ideal gite complex - lots of potential here for someone with vision...Dont underestimate the amount of work that is needed - its a long term project for someone who is very experienced. Worth a look.